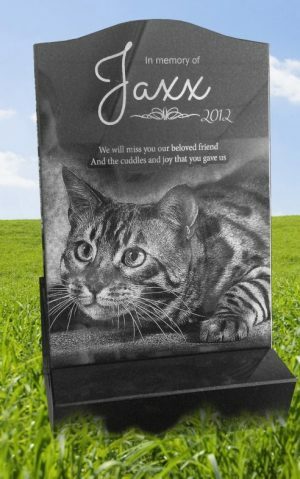 Create a personalised plaque for your pet that will last and be cherished for a lifetime. 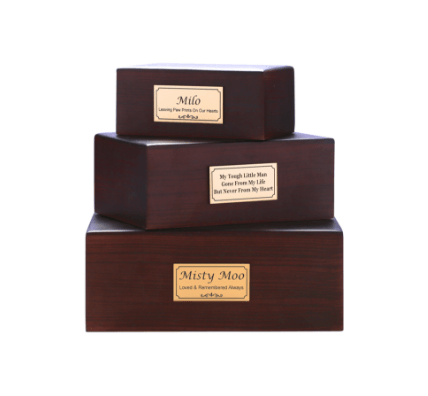 We supply gold and silver memorial plaques as well as outdoor plaques for your garden. 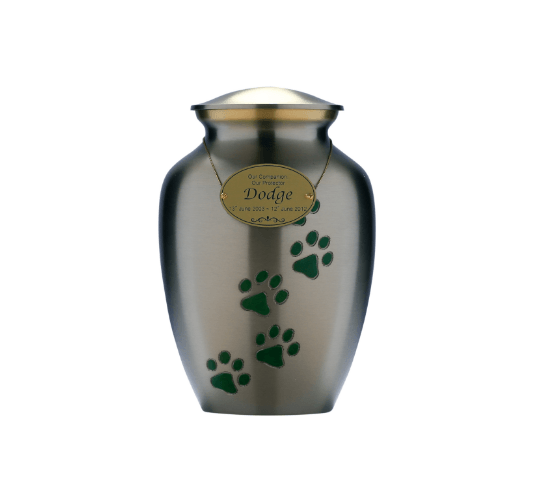 This gold-coloured oval plaque is a perfect engraving option for those urns or keepsakes in memory of your loved one. Starting from $14.50 for 4cm by 6cm. 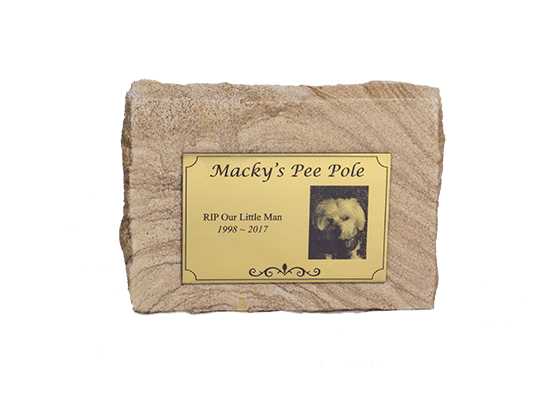 Commemorate the life of your loved ones with a granite memorial plaque. Our Laser-Engraved Black Granite Plaques are made of solid polished granite and are a perfect lasting memorial. These beautiful plaques are laser-engraved in stunning detail.